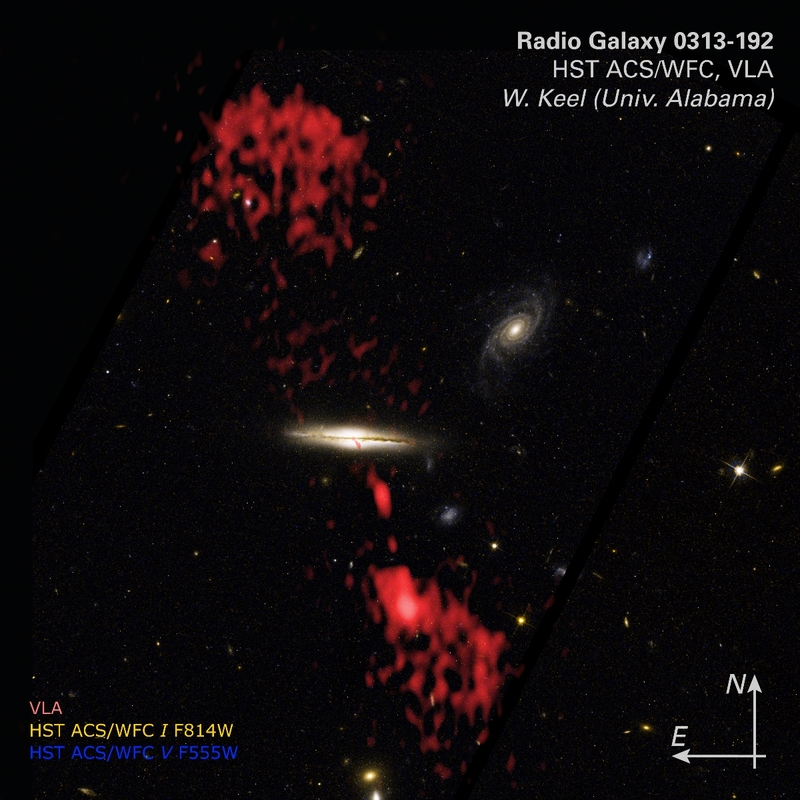 Gems of the Galaxy Zoos: help pick Radio Galaxy Zoo Gems! Help vote for Radio Galaxy Zoo Gems! At the Galaxy Zoos (both at Galaxy Zoo & Radio Galaxy Zoo), we are fizzling with excitement as we prepare for observations using the Advanced Camera for Surveys instrument on board the Hubble Space Telescope. These new Hubble maps will have greater resolution than those that we have from the Sloan Digital Sky Server. As mentioned by Bill’s blogpost, we have been allocated fewer observing slots than our full list of candidates. Therefore, we invite all of you to help shape the observing priorities of our current target list. You will help determine which host galaxies would gain the most from these Hubble observations (and thus have highest priorities on the target list). Radio-lobed Active Galactic Nuclei (S-DRAGN). by star formation. On the other hand, the Green Bean galaxies (Schirmer et al 2013) are thought to consists of quasar light echoes (eg Galaxy Zoo’s Hanny’s Voorwerp). However, the original Green Bean population show little to no emission at radio wavelengths. found by Radio Galaxy Zoo and published by team scientist Anna Kapinska in collaboration with citizen scientist Ivan Terentev (see blogpost on their paper). published by Bill in 2006. We have to finish this priority selection by the 16th February 2018. So, please help vote now by clicking here. We have uploaded the targets in batches of 24 and so please click on all the batches for a view of the full target list. A handy tip for inspecting these images is to ensure that your screen brightness is adjusted to its maximum because many of the host galaxy features can be very faint. We thank Radio Galaxy Zooites, Jean and Victor, for their immense help with assembling the priority selection project interface. You can track what Hubble is observing by proceding to the Hubble archive link or the Hubble Legacy Archive interface here.